The Baby Manual has been produced in South Australia by a local Midwife Donna Mansell after she noticed a lack of information for new parents to access up to date information regarding early parenting advice, baby advice and common changes for newborn baby. Together a fantastic group of respected experts including an Obstetrician, Paedatrician’s, Sleep Psychologist, Dieticians, Psychologist, Infant Massage consultant, lactation consultant. Each week a new selection of videos are released regarding the common changes and challenges of the week. Explaining what to expect and also reassuring new parents that all is normal. Each manual comes with a actual book to write down the common changes for each week and a space to record feed times, sleep times and common questions. You will feel supported confident and calm with the support of our knowledge that you and your newborn baby are doing a great job and also if you have concerns where to go to for help. I’m Donna the creator of The Baby Manual. Over my years in private practice as a Midwife helping loads of Mum’s (& Dad’s) I realised that they would benefit from great expert advice that was easy to access when they needed it. Hence the birth of The Baby Manual! We want to help you become more calm and confident and not just survive those first 8 weeks of parenthood but to love them! Donna is the founding Director of MotherNurture and The Baby Manual, offering 16 years’ experience as a Registered Nurse/ Midwife and Lactation Consultant. 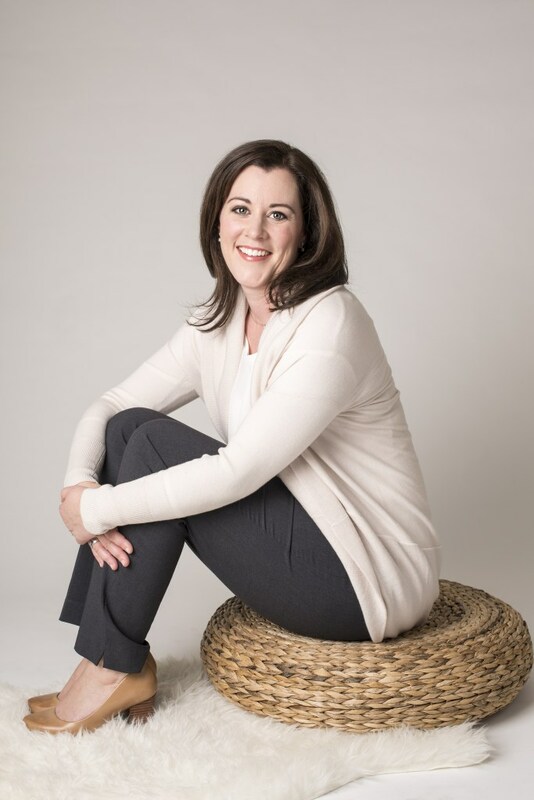 She is passionate about helping women step into motherhood with calm and confidence. This passion inspired her decision to begin MotherNurture, making it the first of its kind in South Australia. Donna understands the benefit of great support throughout pregnancy and the early weeks following birth. In 2007 Donna decided to use her experience, skills and passion to create MotherNurture and provide women in South Australia with a service that was otherwise unavailable to them. This positive step forward in midwifery services gives women more choice, support and information during their pregnancies and early parenting experience. Donna, along with her loving husband Scott, is also the proud parent of two little boys, Oliver, 8 and Harrison, 6. As a little girl, Donna always fantasised about having her own shop, so being able to offer quality products via her online store is just another part of her business that has her truly excited. It’s not quite the cash register and aisles she imagined but it’s a childhood dream fulfilled nonetheless. Donna’s ultimate focus is to offer her best and in turn help others achieve their best in the wonderful journey of motherhood. Dr Rebecca Perry and Chelsea Mauch are both Dieticians. The Nurture Child is their excellent e-learning course to support new parents when starting solids. Rebecca Brook is the proud owner of Earthly Birth. With many years of experience she teaches baby massage, pre and postnatal massage, Aromotheraphy and many other specialist services. Dr Anthony Chitti and Dr Paul Lang are both Paediatricians at Adelaide Paediatrics. They are committed to providing fantastic high quality care to all the babies they see. Dr Chris Hughes is an Obstetrician and a Gynaecologist based in the Northern Suburbs of Adelaide. He is committed to providing education and support for all his expectant mums. Rebecca Sabine (Beck) is a Women’s Health and Pelvic floor physiotherapist. Her passion is in helping women with dysfunctions such as incontinence, weakness, prolpase or pain, to regain confidence in their bodies and remain physically active through life. Brooke Michell is passionate about assisting people to bring about positive change in the sleeping patterns of their children, and feels that these changes can be gradual and respectful to both the child and their parents. Jodie combines positive psychology, spirituality and practical experience to guide and mentor parents to get to the true heart of parenting. Hayley is a Clinical Psychologist who has worked for many years assessing, treating and researching sleeping problems. She completed all of her studies at Flinders University. She has completed a Postdoctoral Research Fellowship in the area of adolescent sleep at Flinders University, and has worked at the Women’s and Children’s Hospital, and the Flinders University Child and Adolescent Sleep Clinic. Most importantly, Hayley is a mum of two young boys who have had difficulties with their sleep at times, and knows very well of the impact that lack of sleep can have on your overall well-being. St John is a volunteer based organisation run entirely for the wellbeing of the South Australian community. They have kindly helped produce these videos to support new parents with great first aid and CPR information. Our experienced anaesthetists provide anaesthesia for all surgical specialities to around 60,000 people in South Australia’s private hospitals every year, and are proud to be Adelaide’s major providers of obstetric anaesthesia and analgesia (epidural) services. night’s sleep and to do so in a way that brings you and your child the most comfort.